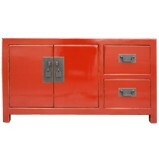 A lacquered wood low unit offers compact and elegant media storage. 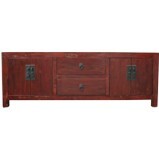 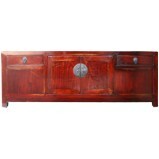 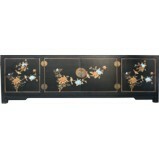 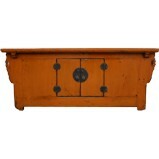 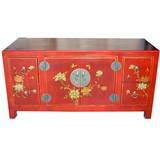 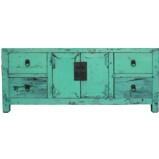 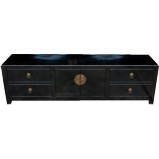 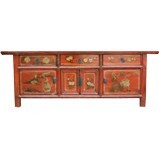 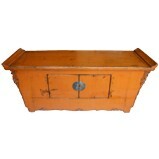 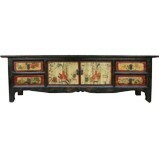 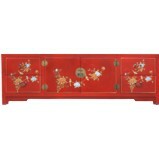 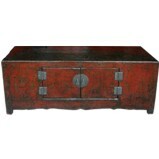 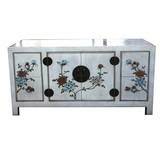 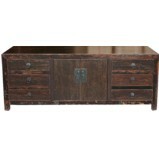 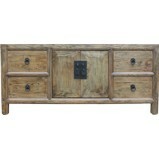 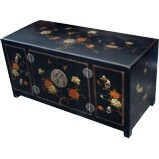 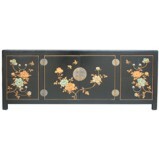 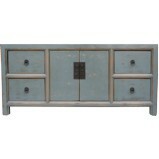 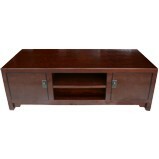 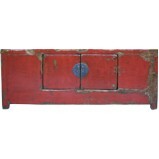 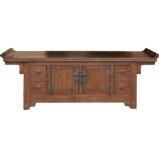 A low oriental cupboard is ideal for media boxes and media accessories storage. 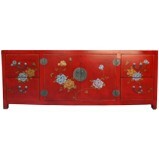 A low oriental cabinet makes for smart storage under a wall mounted TV. 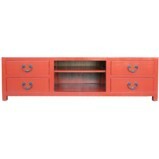 A slim cabinet is perfect for TV and media storage in an alcove and access in the back for hidden wiring results in attractive and practical media storage.